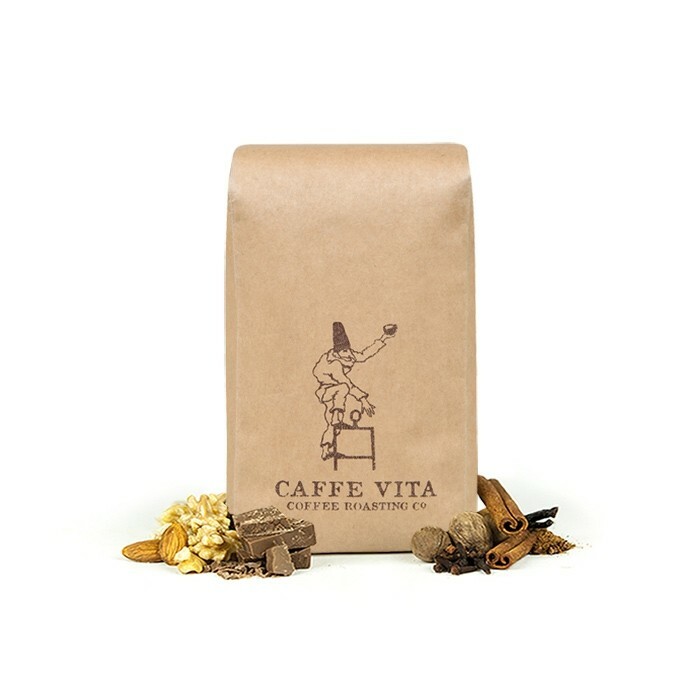 The Guatemala Finca Nueva Viñas was carefully roasted for you by Caffe Vita Coffee Roasting Co. This Organic and Rainforest Alliance certified coffee was sourced from the growing region of Santa Rosa in Guatemala and was produced by the Keller family between 1,200 - 1,500 meters. The cup is balanced and rich with notes of cocoa, baking spices and hazelnut. I liked the coffee, but would prefer a darker roast Guatamalan for my next shipment, thanks. Roasty and darker than I like. Another awesome coffee. I love Guatemalan coffees. Great at times, but around half the time I end up with a bit of a sour taste. Probably due to my coffee to water ratio or the way I make it using a pour over method. Good coffee, smoke, chocolate, moderate bitterness. Minimal fruit character. Spice such as anise and clove are present. Flat and characterless. The predominant flavor profile is the roast, which lends the coffee a slightly bitter flavor that overwhelms the other notes lurking behind it. Otherwise free of major defects, which makes it drinkable if not terribly pleasant or memorable. Great flavors but a little light for my taste using an aero press. However, it really came alive with a stovetop espresso and gave me the aroma's, flavors + a more syrup-like texture. Think I should go for a darker roast when using with an aero press. Great tasting, non-bitter. very good. I liked the notes but was a bit on the bitter side. I used less beans and that helped but would prefer something not quite so bold. Produced a very weak coffee. Not very good.